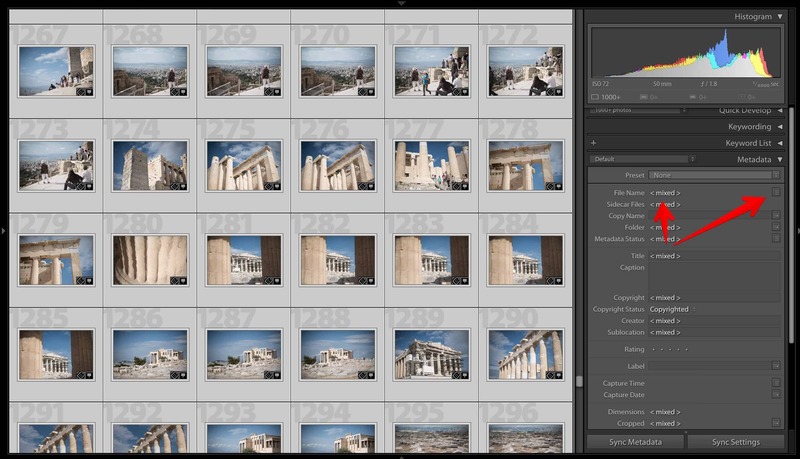 What's the Largest Image Size You Can Import in Lightroom? 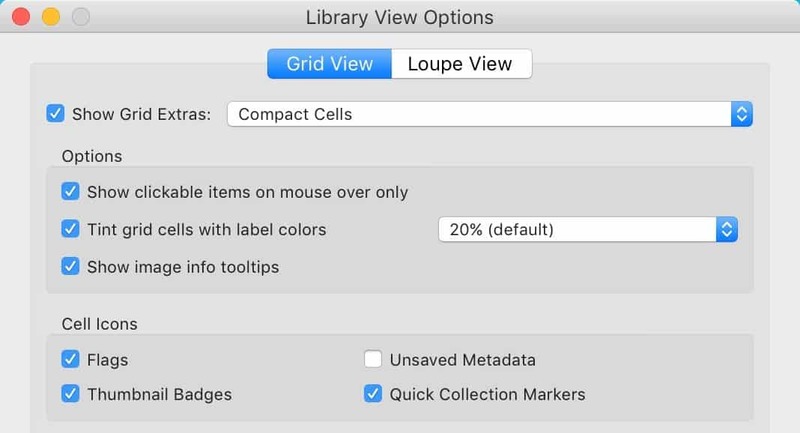 You can import very large images into Lightroom, but there are limits. They're well beyond the sizes that any standard camera or scanner creates natively, but you can run into the limit particularly if you work with high resolution stitched panoramas. In that case, you might run into this error: "The file is too big." By 'too big' it's referring not to filesize, as the error message seems to suggest, but to pixel dimensions. And there are two limits you can run into. 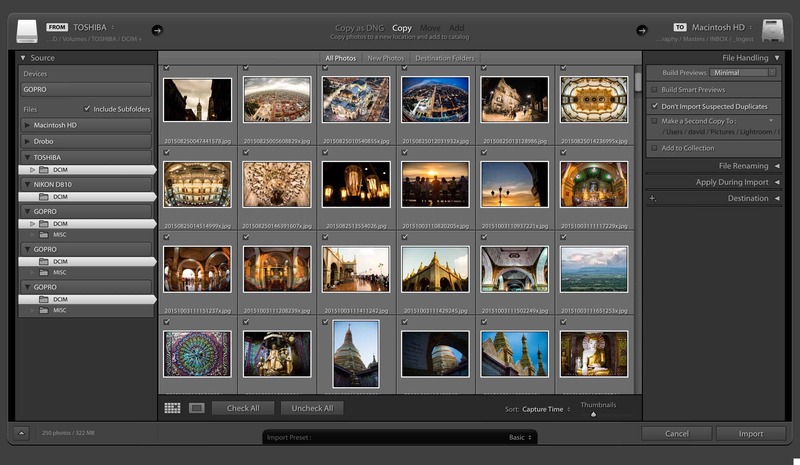 The first is that Lightroom has a hard limit of 65,000 wide or tall (or both). 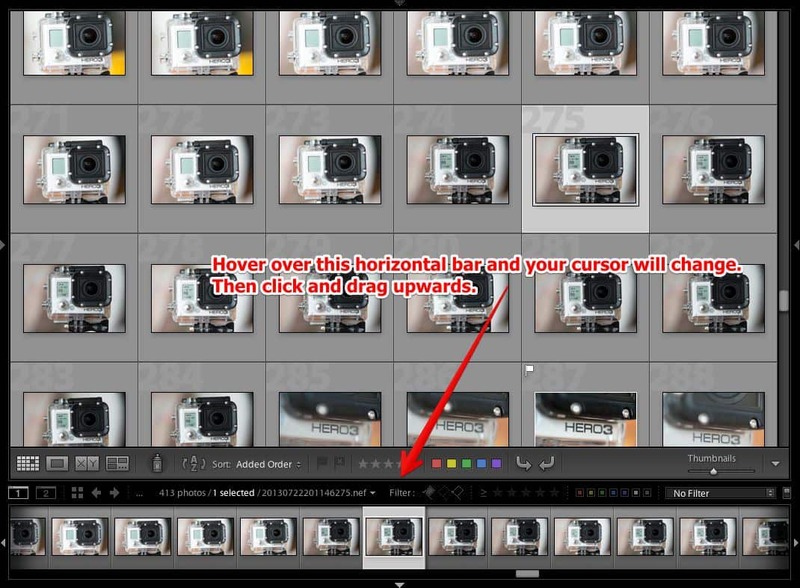 If your image is bigger than that you won't be able to import it into Lightroom. It's not hard to run into that size limit with stitched high-resolution panoramas, especially when using something like a GigaPan. The other limit to watch out for is that there's a hard limit of 512 megapixels. That applies even if your sides are under 65,000. To calculate how many megapixels your image is, multiple the number of pixels wide by the number of pixels high and then divide by a million (or move the decimal point 6 places to the left). Or you can use a calculator like this one. Again, it's pretty easy to run over that limit if you're creating gigapixel panoramas. There's no way using Lightroom's image importing dialogue to resize images. And since you can't get it into the Lightroom catalog to begin with, there's no way to resize it within Lightroom. So you'll need to use some other software to modify the image dimensions before you try importing. If you're already using Photoshop, that's an obvious choice. You can crop the image by changing the canvas size, which removes part/s of the image (Image > Canvas Size). You can resize the image, which preserves the entire image but shrinks it (Image > Image Size). 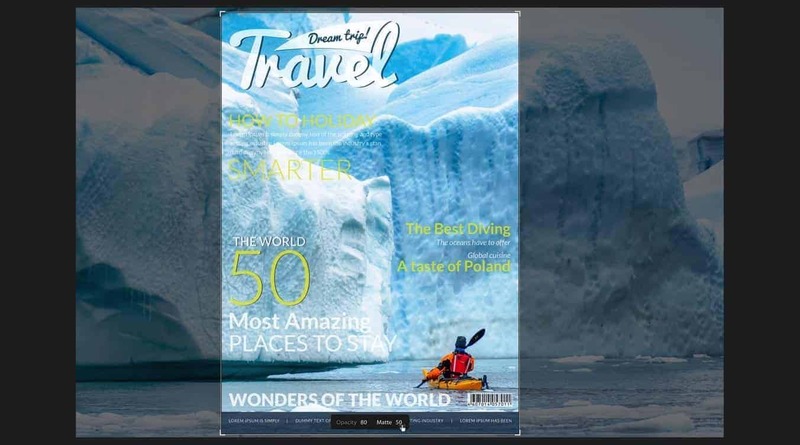 Or you can use the crop tool and specify dimensions using the options in the top toolbar, which again removes part of the image from one or more sides. You don't have to use Photoshop, of course. Any image editing app worth its salt will include cropping or resizing options. Some of the less sophisticated ones might, however, have problems working with very large files. Two good free options are Gimp (an open-source Photoshop competitor) and Irfanview (a very useful and powerful image toolbox). And there are plenty of others. Once you've reduced the pixel dimensions to 65,000px or less, you'll be able to import the photo into Lightroom normally. Well, so long as it's not CMYK or in PNG format, but those are different types of limitations. I have a problem with import: i'm trying to import a scan took from a large format negative, and it's size is of 28863 × 22933 pxl. According to this article i should be able to import it, but i'm receiving the "File is too big" error. What am i doing wrong? You've run over the other limit: 512 megapixels. I've added a section above to clarify.